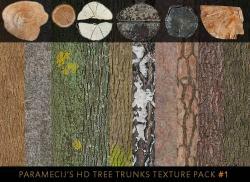 Here's a decent (IMO) texture collection of different types of tree barks and stump ends. (Dunno the correct term here) Most of the source photos these were made from, I've also submitted to OGA earlier, if anyone cares or needs them. 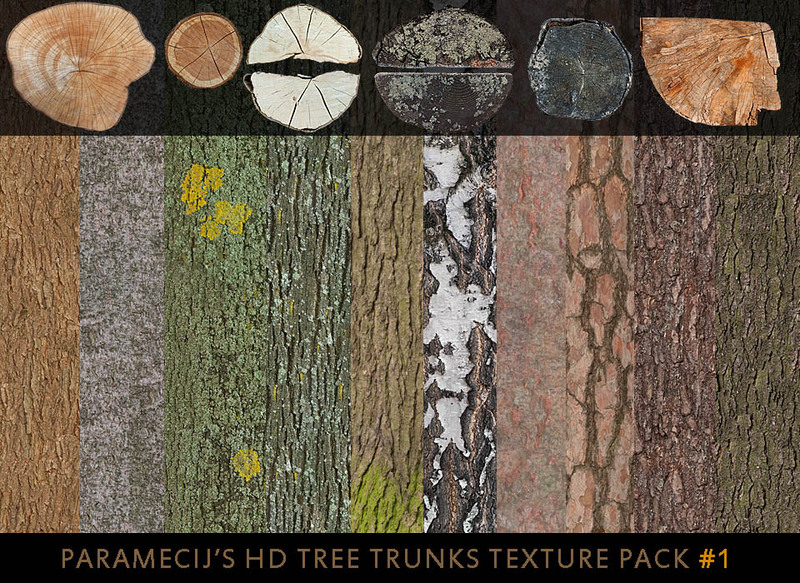 - 32 stump ends, pre-cut - 61 tree barks, seamless - most are fairly high-res (if you do need bigger, let me know, they were all downsized to 50%) .. I'm hoping someone makes some nice 3d trees for OGA..
An excellent submission, para. Special thanks for CC0! A fine piece as always. Many thanks for your continued contributions! Hello! Is it possible for you to repost the zip files for the bark? When I download and try to open them, it claims there is an error with the files, and then just makes empty folders... the stump set works fine though.